EDIT: I can't seem to make a poll. Hopefully, a moderator can help? Thank you! This is my first post here, so - Hi everyone! I suspect most of us got the “Space Bug” from the Apollo Program. How can you not?! Some day a friend of mine mistook my Lego Apollo 11 Command-Module I had sitting on a bathroom shelf for a bathtub toy. 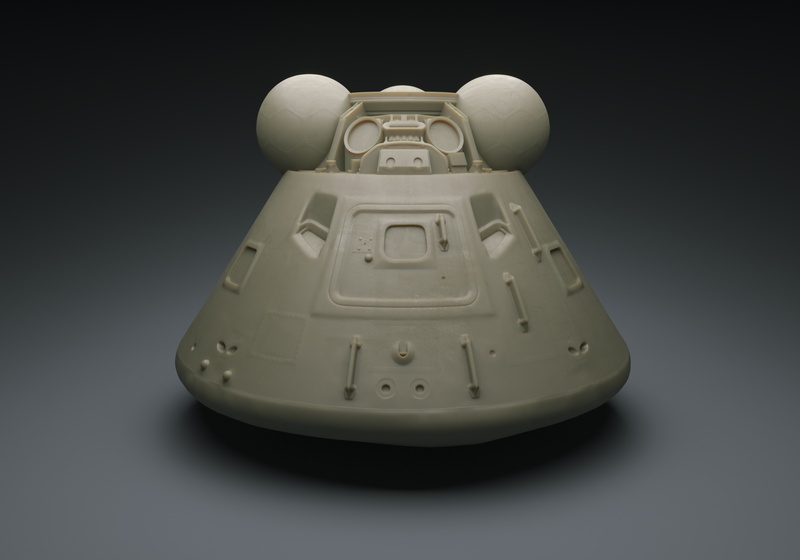 So, I did what any Space-Nerd with a background in 3D-Modeling and a desire to have a project on Kickstarter would do, I modeled an extremely accurate Apollo 11 Command-Module to have it made into a Vinyl-Space-Nerd-Columbia-Rubber-Duck. Launching a Kickstarter-Campaign entails a lot of hard work and the decision to do one should not be taken lightly, I hear. I’m at the stage where I can asses the complexity of the whole operation. Now I’m trying to figure out if people like my idea. Since I’d have to order at least 500 pieces from the manufacturer, this is not something I can just try. Turns out not mass producing things does not make them cheaper. Who would have thought. So, here’s the question. What do you think? - Awesome idea! I’d buy several. One for me and a couple as gifts. - Great idea! I’d buy one. - I’d buy one if it’d cost less than 10$. - I’d buy one if it’d cost less than 5$. I’m honestly not trying to make money with this project. I like to make stuff. Usualy just for me or friends and family. To present something on a platform like kickstarter always seemed like the logical next step. Honestly, to make something people like is pretty rewarding. Thank you so much for reading this far. That means a lot! If you like the idea, please consider letting other people know of this poll. I created the model from a high-dynamic scan template. Done by the Smithsonian. With an accuracy of less than a 10th of an inch. In order to be vinyl castable I had to simplify a few details of course. Namely the five handles. Other details I had to “enhance” due to the small size of the finished product. (About 4.7in or 12cm in diameter). Namely panels and bolts. That being said, I’d consider it the most accurate vinyl toy of its kind. Again with the marketing! The model represents the state of Columbia just after its landing in the Pacific Ocean. As seen by the inflated swimmers and the beaten up ablative Heat Shield. (I honestly was quite stunned how banged up that thing is). To have the chutes would be sweet of course but just not feasible at the moment. The main color will probably be either a rusty brown or (if possible) a paint job representing the torn foil the module was covered with. The fact that we’re nearing the 50th aniversary of it’s landing in the Pacific was totaly planed - of course. Funny enough, I don’t take baths. I shower. I'm not sure how polls work either. This looks like an awesome idea! From the detail I can see, and painted with stand at $18, sounds very reasonable. How so I get one.....or two? Added the poll. I hope it is what you were looking for! I love the idea and might be > 1 but answered conservatively for now. Spot on! Thank you so much bldrfritz. Thank you Brian. If this project comes to fruition, I'll make sure to let you know. Thanks Tanner, my vote has been added.